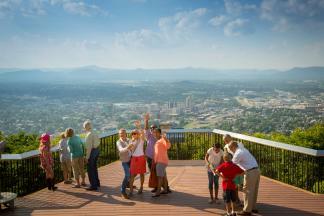 You’ll be amazed at the different kinds of soup you can find in the Roanoke Valley in Virginia’s Blue Ridge. The variety of soups is a great indication of the culinary creativity that exists in the region, which offers unique flavors from around the world. Whether it’s the influences of Latin America, East Asia, the Middle East, or traditional Southern favorites, a bowl of soup in Virginia’s Blue Ridge could send your tastebuds anywhere in the world! 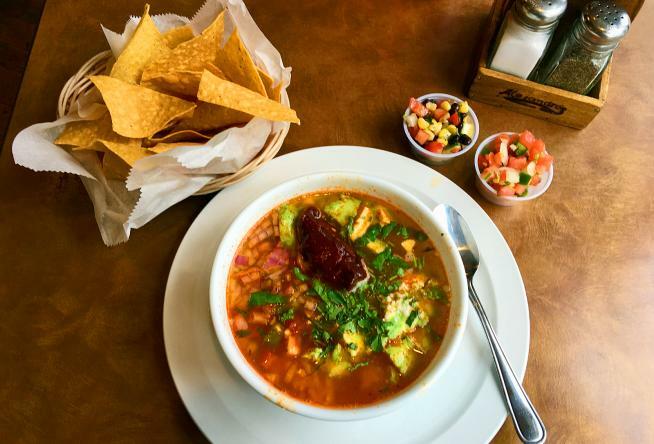 Here are 15 of the best local restaurants to visit for your next bowl of soup. You can find this traditional Southern favorite at Three Li’l Pigs, one of the best local restaurants for BBQ in Virginia’s Blue Ridge. 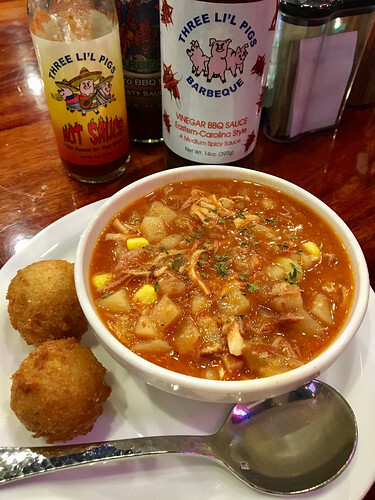 The Brunswick Stew features pork, chicken, and fresh vegetables and boasts that delicious combination of smoky and sweet. A bowl of stew also comes with a couple hushpuppies, but why resist the urge to order a few more? 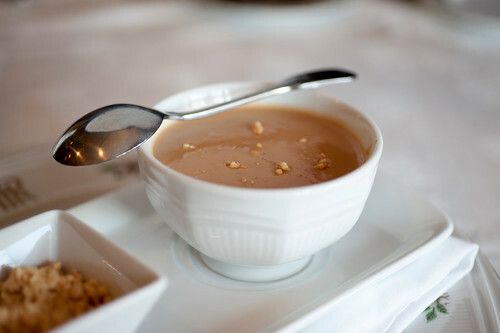 Known as one of the signature flavors of Virginia’s Blue Ridge, the peanut soup has been on the menu at The Regency Room in The Hotel Roanoke since 1940. It celebrates the rich agricultural heritage of the peanut in Virginia and pairs well with a side of spoonbread, another iconic dish of the region. It’s a rich dish that will be the perfect start of your meal at this elegant restaurant. Pho in Virginia’s Blue Ridge?! You bet! Viet Sub is well-known for its delicious Banh Mi sandwiches, but the restaurant also whips up a tasty bowl of pho. 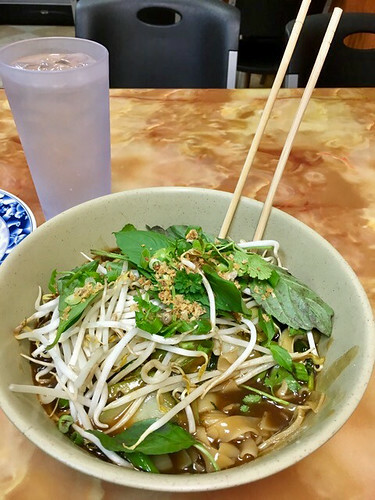 Rice noodles are served with sliced bottom round steak in a hot bowl of beef broth, and then you add in basil, bean sprouts, and jalapenos to suit your preferences. 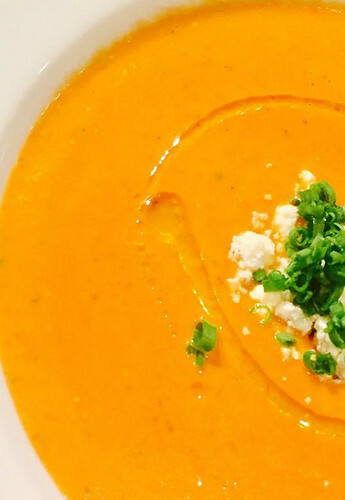 We keep our vegetarian visitors in mind with the Brick Oven Roasted Tomato & Blue Cheese Bisque at 419 West. The blue cheese crumbles on top of the soup offer a unique texture and sharp flavor that compliments the creamy base of the tomato bisque. 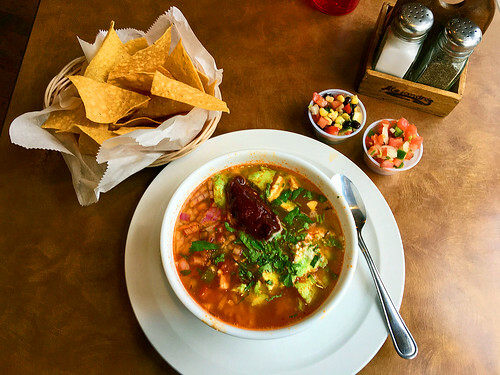 Warm yourself up with a bowl of Caldo de Pallo at Alejandro’s Mexican Grill, which has multiple locations in Virginia’s Blue Ridge. It’s a Mexican soup packed with flavor that includes shredded chicken, rice, vegetables and a chipotle pepper. For extra heat, add in a few of your favorite blends from the salsa bar. If you grew up on tomato soup and grilled cheese sandwiches, this is the dish for you. 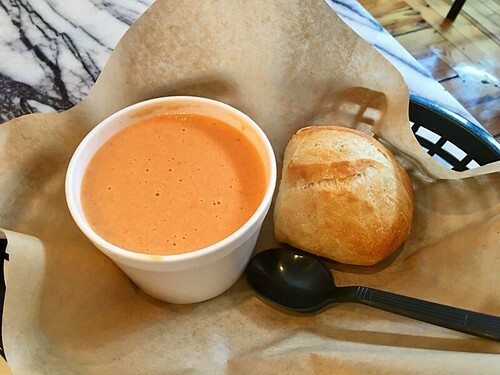 The Tomato Cheddar soup at On the Rise Bakery in Downtown Roanoke combines both classic flavors with a rich soup that brings together the zest of the tomato and creaminess of cheddar cheese. You’ll also receive a fresh-baked roll for dipping. Rasam is a traditional Indian soup that traces its origins from Southern India. Tamarind and tomato serve as the primary base for the dish, which is then enhanced with chili pepper, cumin, curry leaves, tumeric and other spices. It’s a great option for the adventurous eater and it’s also rich in vitamins and antioxidants. 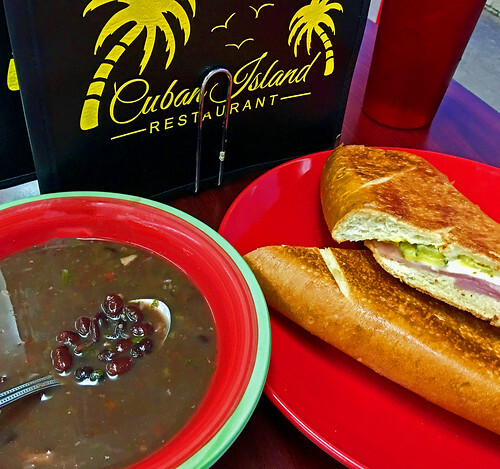 Begin your Cuban feast with a bowl of the black bean soup at Cuban Island Restaurant on Williamson Road! It’s a hearty dish with rich black bean flavor and the beans provide a good change of texture, a perfect first course before a dish of ropa vieja and tres leches cake. Get ready for some spice when you order the Tom Yam Soup at Cafe Asia. It’s a sweet, sour and spicy combination of flavors that includes jumbo shrimp, fresh mushrooms, lemongrass, cilantro and is then garnished with a celery stalk. Let the good times roll with a visit to The Quarter. 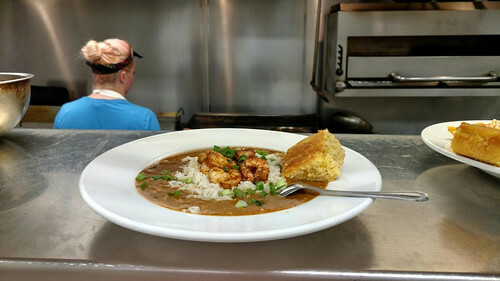 Of course this cajun-inspired restaurant in Downtown Roanoke features gumbo, the classic creole soup that boasts chicken, shrimp, rice and all kinds of unique spices. You can also use your piece cornbread to make sure you sop up every drip of deliciousness. 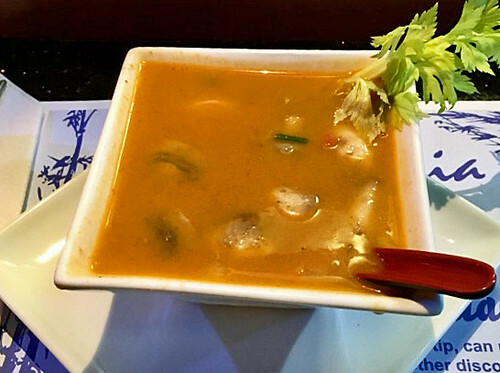 Take your tastebuds to the far east with the Lotna soup at Thai Oudone Valley Grill, a hidden gem of amazing Asian flavors in Virginia’s Blue Ridge. The soup is part of the Laos menu, which focuses on this lesser-known Asian country and its cuisine. The Lotna can be served with chicken, beef or shrimp, and is mixed with rice noodles, bok choy, bean sprouts and Asian broccoli. You may have trouble pronouncing “Avgolemono,” but you can just say you want the Greek chicken soup and the servers will know what you mean. It’s a Greek twist on the traditional chicken & vegetable soup you’re familiar with, and it’s served with a grilled pita. 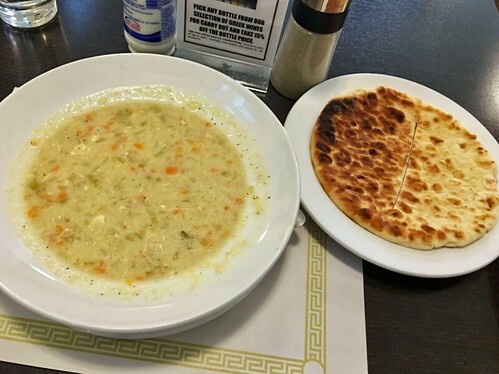 The soup is one of many delicious authentic Greek dishes on the menu at Athens Corner Grill. Opa! Did you know some of the best Mexican food in Virginia’s Blue Ridge can be found in a convenience store? 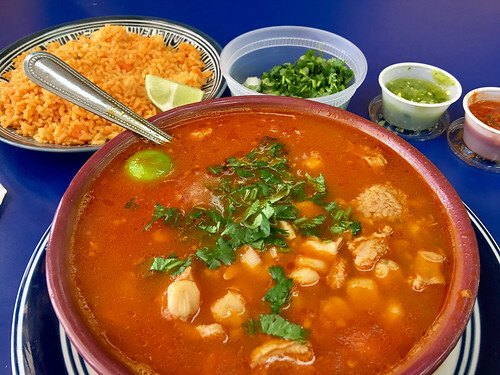 Tacos Rojas serves a variety of authentic south of the border favorites, including Menudo, a traditional Mexican stew that features hominy and tripe. There are also sides of salsa, cilantro, onions and rice that can be mixed with the stew. With such an innovative menu, it should come as no surprise that Metro! 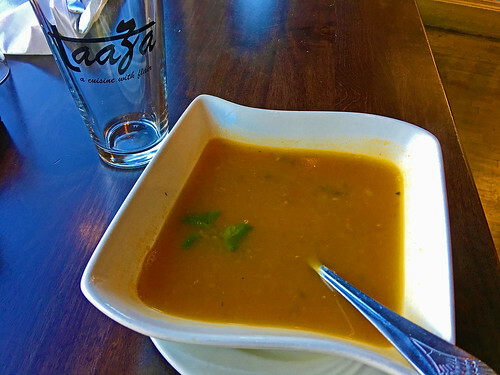 is one of the best local restaurants for soup in Virginia’s Blue Ridge. 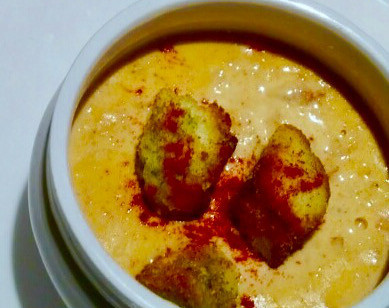 The She Crab Soup is beautifully plated in a large pot and it’s a 20-year-old recipe with chunks of crab topped with old bay croutons and smoked paprika for the perfect combination of spice. This quaint noodle house in Roanoke features all kinds of amazing Asian soups, including pho and other traditional noodle soups. For something a little different, try the Bo Kho, a slow-cooked beef stew that features tender chunks of beef, carrots, crispy onions, and your choice of noodles or bread. Need a little heat? Add some sriracha! 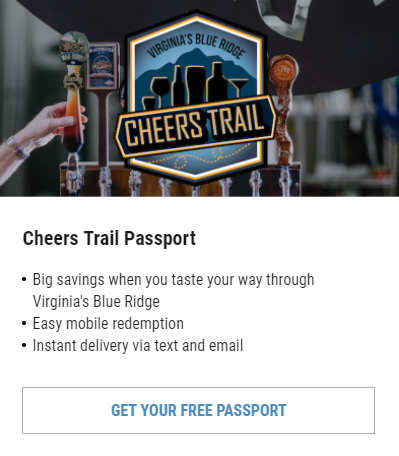 Check out our Restaurants section to find more unique flavors in Virginia’s Blue Ridge. You can also refer to our Food & Drink Itinerary to help plan a foodcation! Remember to tag your pics of all your good eats with our #BlueRidgeDay hashtag.